Politics and elections are rarely funny on their own, so many of us in years past relied on Jon Stewart and The Daily Show to bring some laughs to otherwise disheartening political news. Stewart leaving the series in 2015 was a long time coming, but it was still a bummer considering that he’d be missing the 2016 presidential election for his jump from Comedy Central to HBO. Luckily, HBO has announced that Stewart may in fact be back on the air before the general election in November. Jon Stewart signed a four-year deal with HBO back in November of 2015, but there was no news of when he might make his debut. HBO CEO Richard Plepler has confirmed that he is hopeful that Stewart might make his big HBO break before the end of campaign season, according to Variety. The former Daily Show host’s work on HBO has been categorized as “improvisational,” which frankly makes a lot of sense for a man with as much comedic success to his name as Jon Stewart. He’ll examine current events through his own point-of-view. Interestingly, Jon Stewart’s role on HBO has always been geared toward content for streaming platform HBO Now. The streaming service has allowed consumers to subscribe to HBO via computer without subscribing via cable. It’s been a great way for HBO programming to reach viewers who are unable or unwilling to go the extra mile and add HBO to their cable package, and Jon Stewart becoming a presence on HBO Now will likely increase subscribers to the streaming service. If he does indeed make it onto HBO by the November presidential election, that increase in subscribers may occur sooner rather than later. 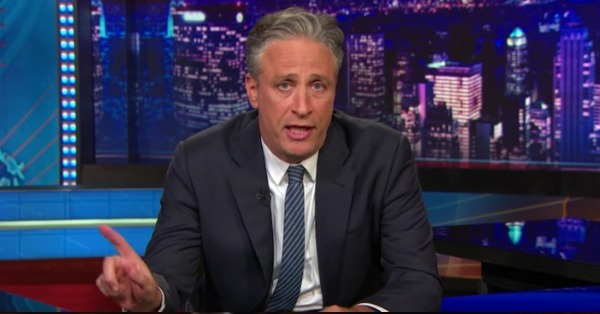 HBO hasn’t brought Jon Stewart on just to do a sort of Daily Show 2.0 via streaming video. Stewart is set to work with pioneering cloud graphics company OTOY to produce digital shorts with new technology ideal for HBO Now. The shorts will showcase Stewart in a brand new way, hopefully without costing him any of the humor that endeared him to the masses during his tenure on The Daily Show. Of course, The Daily Show didn’t come to an end when Jon Stewart left. After Comedy Central approached a number of comedians ranging from Amy Schumer to Chris Rock, Trevor Noah landed the hosting gig. Noah has been funny enough, but he had some big shoes to fill. Personally, I’m relieved to know that Jon Stewart may be back on TV to give his spin on the news by election time. We’ll have to wait and see if HBO CEO Richard Plepler’s hopes for Jon Stewart to make his HBO debut in time for the November elections come true. In the meantime, check out our schedule of summer TV premiere dates to see what we know for sure will be hitting the airwaves.